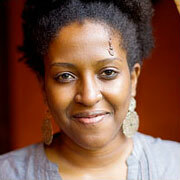 Ory Okolloh is a Kenyan activist, lawyer, and blogger who is currently employed with Google as the Policy Manager for Africa. In addition, Okolloh has also been known to create a number of websites (engaging in mobile phones, social media, and Google Maps) in order to increase the use of communication and information practices in underdeveloped nations, specifically within the region of Africa where her geographical area of focus is. I chose to write about Ory Okolloh because I feel as though she is an incredible example of applying ICTs to underdeveloped nations by identifying a need and then applying that need to practices of communication and information. Okolloh’s first ICT4D endeavor was during the year of 2006, where she had co-founded the parliamentary watchdog site Mzalendo, defined as Patriot in Swahili. The website’s mission is to “keep an eye on the Kenyan government” (www.mzalendo.com). In addition to Mzalendo, Okolloh had also assisted in creating the website Ushahidi, defined as testimony in Swahili. Ushahidi collects and records witness reports of violence by using technological resources such as text messages and Google Maps. Furthermore, although Okolloh has worked with underdeveloped nations through a number of ICT4D practices, she also has her own individual online blog that is called Kenyan Pundit. Kenyan Pundit was created in result of Okolloh’s website Ushahidi. Reporting on happenings in Kenya and also referencing other Kenyan blogs of similarity, it acts as an outlet of information and communication for individuals that reside in Kenya and within other nations around the world. However, Okolloh has decided to resign as Ushahidi’s executive director, leaving a good-bye post on Kenyan Pundit. Okolloh states that since the beginning of the creation of Ushahidi “it has been a crazy ride…from producing an incredible open source platform and working towards scale, to building and working with an incredibly talented team, to seeing multiple uses of Ushahidi around the world, to numerous awards and press mentions.” For me, what has always been the most important aspect of the work we do has remained simple, building a tool that makes it easy for individuals and groups to tell their stories, and making it easy for these stories to be mapped/visualized. Ushahidi has grown to be that and much more, thanks especially to the wider community, which saw potential uses beyond crisis reporting and who largely shaped our growth and direction to date be it through translation efforts (Ushahidi now available in 10 languages! ), or custom themes, or pushing for a hosted version (Crowdmap), or challenging us to address the shortcomings of the platform (through tools like Swift River and our community resource page) (Okolloh, www.kenyanpundit.com). Nevertheless, what Okolloh is most proud of, is the fact that Ushahidi’s platform has extended to underdeveloped nations around the world, each attempting to diminish the digital divide and continue to strive for increased accessibility of communication and information practices. The new cyber security bill, the Cyber Intelligence Sharing and Protection Act (CISPA), looks to allow the government and private companies to share more information, including that of customer information about perceived cyber security threats. Introduced on November 30, 2011 by both Mike Rogers and Dutch Ruppersberger, CISPA has in result received a large backing of 111 lawmakers and over 800 companies (including Google and Facebook). However, this new bill has become quite controversial.Web freedom and consumer advocate groups and writers have come to see parallel lines between that of the new bill, CISPA, and the past bill, Stop Online Piracy Act (SOPA). SOPA had attempted to fight online piracy by forcing United States websites to break internet links and financial ties to websites in foreign nations that were accused of copy infringement. Nevertheless, CISPA has an entirely different set of goals than SOPA had had, yet many critics remain to state that CISPA is still too broad, “especially a provision that defines ‘cyber threat intelligence’ as ‘information…pertaining to the protection of a system or network from…theft or misappropriation of private or government information, intellectual property, or personal information'” (www.idealab.talkingpointsmemo.com). My question is, what do you think? The ICT4Peace Foundation “aims to facilitate improved, effective and sustained communication between peoples, communities and stakeholders involved in conflict prevention, mediation and peace building through better understanding of and enhanced application of Information Communications Technology (ICT) including Media” (www.ict4peace.org). In addition, ICT4Peace also looks at the roles of ICT’s within crisis management and how such crisis’s can be prevented in the future by creating viable solutions. By creating a bridge between individuals and organizations that are active during different crisis phases, ICT4Peace looks to instate cohesive and collaborative mechanisms parallel with Paragragh 36 of the WSIS Tunis Declaration: “We value the potential of ICTs to promote peace and to prevent conflict which, inter alia, negatively affects achieving development goals. ICTs can be used for identifying conflict situations through early-warning systems preventing conflicts, promoting their peaceful resolution, supporting humanitarian action, including protection of civilians in armed conflicts, facilitating peacekeeping missions, and assisting post conflict peace-building and reconstruction” (www.ict4peace.org). Paragraph 36 was introduced during the diplomatic negotiations of 2004 as a part of the WSIS Tunis Commitment in 2005. As an offshoot of another initiative, the ICT4Peace Foundation was established during the Spring of 2006 in order to raise awareness about the Tunis Commitment and promote it’s ideas for good crisis management. ICT4Peace is run by an unpaid advisory board under the Chairmanship of President Marti Ahtisaari. In addition, there are also a number of organisations that are partnered with ICT4Peace: Crisis Management Initiative, UN DESA, GAID, Interpeace, ISCRAM, InfoShare, UN Office of the Coordination of Humanitarian Affairs (OCHA), Department of Political Affairs (DPA), Department of Peacekeeping Operations (DPKO), UNICEF, UNHCR, UNFPA, and UNDP. Together, ICT4Peace is able to focus on improving crisis information management by instructing the international community on how to better use ICTs. Four ways in which the ICT4Peace Foundation is able to carry out its initiative to improve crisis information management is though enhancing the performance of the international community in crisis information management through ICT, developing training templates for ICT, media, and communications in conflict management, improving existing ICT4Peace initiatives and tools (ICT4Peace Wiki), and through policy outreach and awareness creation in the field of ICT4Peace. Some of the most recent projects that the ICT4Peace Foundation has worked on include: developing research on the role of ICT and information management in preventing, responding to and recovering from conflict, launching a partnership with the DESA Global Alliance for ICT and Development (GAID) and the United Nations office of Humanitarian Affairs (OCHA), creating the ICT4Peace inventory wiki, and organizing a series of meetings at the United Nations in order to introduce the foundation to potential stakeholders. What I found to be most interesting of all their recent work is the ICT4Peace inventory wiki. The ICT4Peace wiki is a global database of ICT in crisis management, humanitarian aid, and peace building. As the ICT4Peace foundation is an outlet for communication and information, the ICT4Peace wiki is an example of how individuals can go onto the internet and quickly find up to date information on crisis management. The ICT4Peace wiki specifically contains information on ICT tools and mechanisms centered towards conflict early warning, mitigation, transformation and post conflict recovery. In my opinion, ICT4Peace is a innovative foundation that is directly working to meet the needs of the people in a simple and cohesive manner that will create sustainability in times of crisis. To learn more about ICT4Peace click here or here. When using ICTs strategically, it is important to use them directly, strategically, and internally. More specifically, the article, ICT Enabled Development Plan 2010, states the vital factors for planning strategic uses of ICT. When reading the article, context analysis stood out as central to establishing successful ICT projects. Context analysis helps to establish “what is possible and affordable in current policy and market conditions, and highlight inequities or potential policy advocacy issues. Analysis of local information and communication contexts by community members, local organisations and government stakeholders should be a routine part of community consultations for strategic planning processes” (ICT Enabled Development PLan 2010, p. 13). Secondly, it is also important to report on stakeholders and key providers of skills and expertise. Nevertheless, ICT development work should also be reported on from within the targeted community in order to understand what it exactly is needed and how such needs can be met. The Women’s Net and The Media & Diversity Agency presented a meeting named “The Johannesburg Agreement.” This meeting, and their ongoing project, is an example of thorough context analysis that successfully meets specific needs. 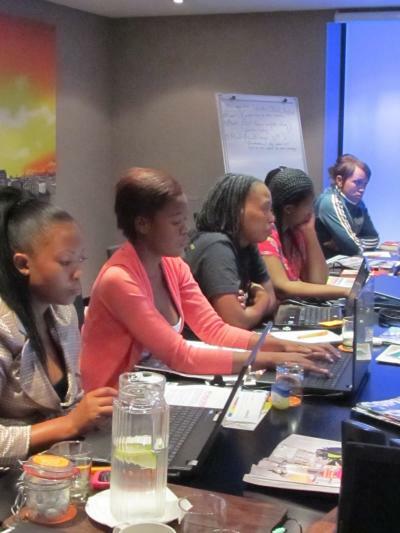 Within the meeting, a series of workshops are performed to train “women journalists from community media (radio and television) in the practice of online and mobile citizen journalism in the wake of the COP17 conference and the Climate Change phenomena” (www.womensnet.org). Here, women are trained to act as community journalists, empowered to generate information that is apart from main stream media. The conference focuses on strengthening the importance of citizen journalism on climate change, therefore locating exact needs and successfully meeting such needs. Participants will be trained on how their voices can be heard throughout the world, allowing for ICT development to be reported on within their own community from their own citizens. This article discusses how developing nations have rapidly been growing in terms of information and communication technologies, they are still seeing great problems in relation to high-speed internet access and broadband connectivity. In result, the World Bank has seen a 70% failure rate when it comes to ICT projects. Some of the ways that the World Bank has tried to recently promote ICT initiatives to better communication technologies in underdeveloped nations are through ICT sector reform, access to information infrastructure, ICT skills development, and ICT applications. Through such initiatives, the World Bank was shown to be one of the largest financiers in telecommunications within poor underdeveloped nations. Nevertheless, in “regarding efforts to promote universal access, targeted World Bank ICT projects with the objective to directly promote target access for the underserved and the poor had limited success; only 30 percent have achieved their objectives of implementing universal access policies or increasing ICT access for the poor or underserved areas. Bank operations to promote universal access often were slow to get off the ground and were superseded by the rollout of mobile phone networks by the private sector, in some cases supported by Bank sector reform” (www.ictworks.org). Although the World Bank has seen failure, it is important to remember how they have also achieved great parts of their initiatives to better information and communication technologies, in hopes that they will continue to improve in order to increase development within developing nations. When answering such questions, it is important to understand that gender inequality is not only a socio-economic issue but also a cultural issue. Dominant practices such as kinship obligations, honor and shame systems, and dowries are not only a part of their culture but a part of the structure of the community. The anthropologists that had reported on this issue and are involved within the Grameen Village Phone project, stated that before policies are developed anthropologists must first study the village and understand what changes must be made before development projects are emplaced. This research initiative is an ongoing project and I am curious to see the information that is received from it. There is much potential for ICTs in education. They can improve access to knowledge, promote creation of learning environments, fascilitate communication, equip students for the information age, and allow teachers to improve teaching. One ICT that was created to improve education in underdeveloped countries was a low-cost, low-power computer geared towards helping children in need. This mission was called One Laptop Per Child (OLPC).There mission, is to “provide educational opportunities for the worlds most isolated and poorest children by giving each child a rugged, low-cost, low-power, connected laptop; and software tools and content designed for collaborative, joyful, self empowered learning” (OLPC, Class Presentation). Although the idea for OLPC may have worked in underdeveloped countries, it is now also being implemented underdeveloped schools in the United States. Now, more than 525 students at Holmes Elementary in Liberty City are getting their own technology, and are said to cannot wait to use their own technology at home.